Hyundai Motor Group CSR constitutes 4 main pillars -"Safe Move, Green Move, Happy Move and Easy Move". Safe Move is one of the key pillars of Hyundai's global CSR campaign on Traffic Safety Campaign. Under the aegis of "Safe Move", the HMIL in association with the Ministry of Road Transport and Highways will promote the best practices of road and traffic safety habits among children. 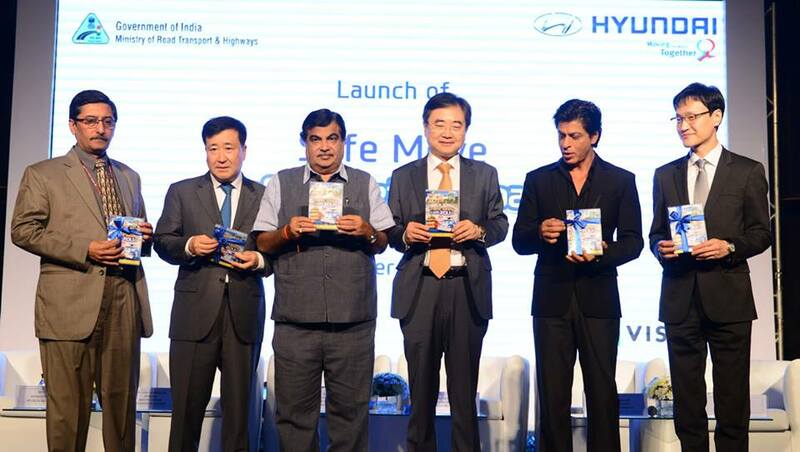 Mr Shah Rukh Khan to participate in Hyundai's CSR initiatives as Hyundai's Corporate Brand Ambassador. Mr Khan has been associated with Hyundai since 1998 in India and has been instrumental in strengthening Hyundai brand in India. The Safe Move official Traffic Safety Campaign educates the children on the Traffic Safety. This initiative will have both online and offline engagement channels. 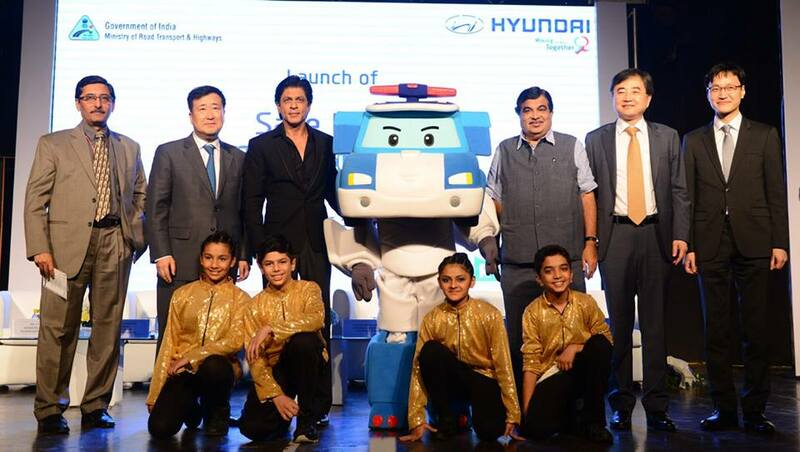 The Robocar Poli animation series along with message from Honorable Minister of Road Transport & Highways and Shipping Mr. Nitin Gadkari and Hyundai Corporate Brand Ambassador Mr. Shah Rukh Khan will be aired on Hungama TV channel. The 26 episode series will be available in English, Hindi and Tamil languages. Shri Vijay Chhibber, Secretary Department of Road Transport, Highways while complementing the Hyundai's initiative felt, "Such a CSR activity by the Auto Industry will go a long way in meeting the Indian commitment towards achieving the United Nations decadal goals for Road Safety, which were very recently the subject matter of discussion at the 2nd world congress at Brasilia." On the occasion of the launch, Mr Y.K Koo, Managing Director, Hyundai Motor India Ltd. said, "Hyundai is a responsible car manufacturer and India's most loved car brand, it is our responsibility to apprise children about the importance of Traffic Safety for a better future. Children are the future of a nation and 'Traffic Safety campaign' is an effort to reach out to the children to educate them with best practices of the Traffic Safety." The RWA contact program will also be rolled-out reaching out to RWA's comprising over 200 residential units in 5 cities. During these in-depth interactive sessions through games and Traffic lessons both children and parents will learn the best practices of the Traffic Safety. A 'Kids Hyundai' (www.kids.hyundai.co.in), a specially designed website for children on Traffic Safety is developed. The Kids website will serve as an exclusive outpost for the "Safe Move" program and carry news, Animation Episodes, online engagements, car production, car history & evolution related content and registration for the various programs under the initiative.